In my neck of the woods (So. Florida), the temperatures are climbing. Without a doubt, the calendar might say otherwise; but, the sizzling days of summer have arrived and so are the crispy corns of summer. 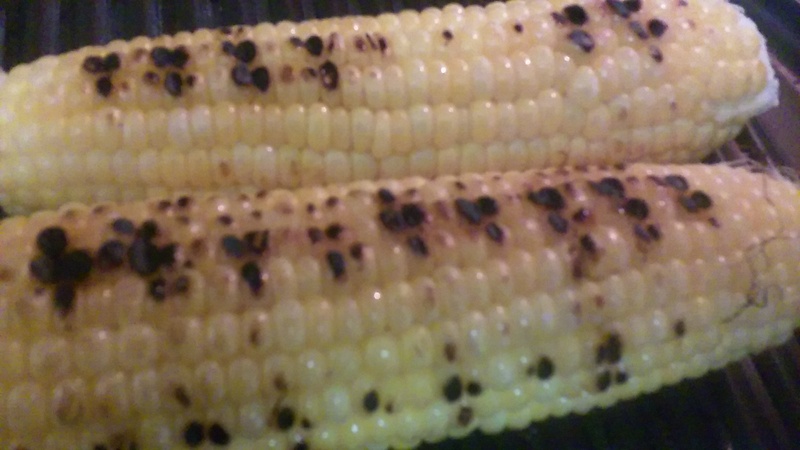 Decided to honor one of summer’s wholesome foods by grilling a couple corns on the cob. Then, I will season with a pinch of salt and black pepper. I will make a slightly sour and sweet dressing made from honey and a splash of vinegar along with finely chopped parsley. I’m excited. Summer is here in my kitchen!